The north Indian fare is never complete without the mouth watering Palak Paneer. Its easy to make, excellent for the system, and just the mention of palak makes me go weak on my knees. 1. Remove stems and wash the spinach thoroughly in running water. 2. Blanch in salted boiling water for two minutes and refresh in chilled water. 3. 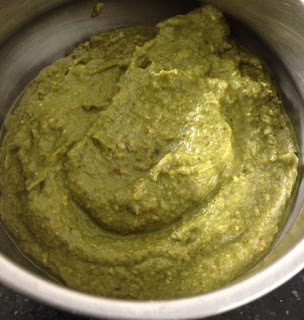 Squeeze out the excess water and grind the spinach into a fine paste along with green chillies. 4. Dice paneer into one inch by one inch by half inch pieces. 5. Heat oil in a pan and splutter cumin seeds. 6. Add garlic and sauté for half a minute. 7. Add the spinach puree and stir. 8. Check seasoning and add water if required. 9. When the gravy comes to a boil, add the paneer and mix well. 10. Stir in lemon juice once the palak has cooled. 11. Garnish with fresh cream and serve hot with breads or rice.